I've decided it's time to live alone after going through a lot of traumatic experiences from sharing a space. I was hesitant at first. It's an ongoing fun adventure! Every day I'm learning to be a---dare I say it, homemaker. 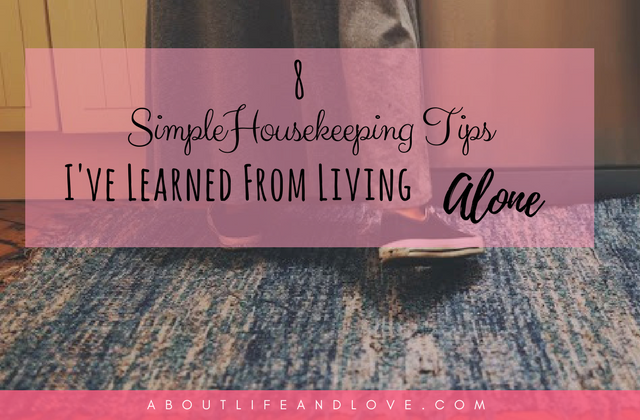 Here are 8 simple housekeeping tips I've learned from living alone. Schedule your laundry time (you'll save more if you wash your own clothes). Schedule your grocery trips. 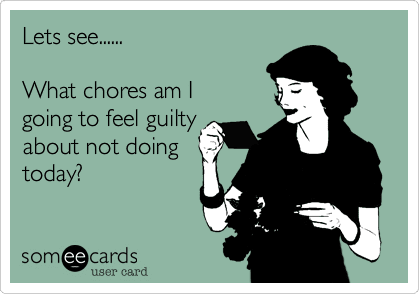 Schedule your house cleaning. Schedule even charging your gadgets. 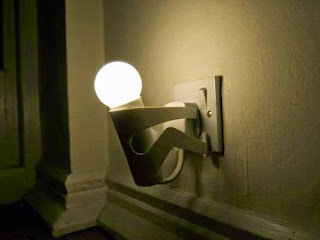 Scheduling saves you not only time, but also electricity, water and money as well. I didn't know vinegar can be so versatile. I used to think it just makes a good dip, flavor enhancer or salad dressing. Wrap your shower head in a plastic bag with vinegar and let it stay overnight. Result: clean and disinfected shower head in the morning. b. Toilet, sink and bathroom cleaner. The tiles and toilet bowl is cleaner if you wash it with baking soda + vinegar and rinse with water. So far, ants are my number one pest/enemy right now. They're everywhere! I researched ways on how to get rid of them and the number one and most common advice? Vinegar! 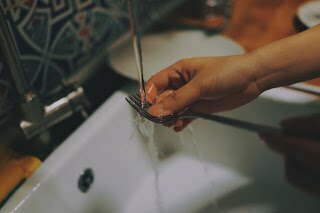 These are just three of what I've learned first-hand, but through the internet, I've discovered that vinegar can also be used to clean your PC, windows, carpet stains, burnish scissors, unclog drains, plus you can also use it as facial toner and dandruff remover! Baking soda is just as useful as vinegar. My neighbor's cat loves to take a dump in the hallway outside my door. You know it smells terrible, right? Sprinkling baking soda in the gap under my door almost instantly gets rid of the odor. I also use baking soda in scrubbing the bathroom floor and the sink. Beauty tip: Mix baking soda with lemon juice for a homemade body scrub. You can live without T.V. How many hours do you consume everyday watching T.V.? Five? More? How many hours will that be in a week? Month? Years? What if instead of watching T.V. everyday, you read books, work on the internet (and I said work, yes) or go out? Answer: you get a more productive life. And besides, what is it that you can watch on T.V that you can't on the internet? Unplug if not in use. Though turned off, appliances still use power when plugged. Unplug unused appliance especially before leaving the house to save, and also to be safe. Keep your food storage full and emergency kit ready. You'll never know when a storm or flu will hit you. You won't be having a hard time cleaning if you see to it that you keep things orderly. Put things back where you got them. Organize documents and label them for easy retrieval. Identify your needs and your wants. You can go ahead and splurge if you have extra. But, it's always better to live within or below your means. Living alone is getting to know yourself more as you learn things that you were oblivious of when you were living with your parents or with other people. I also realized that this is a good learning curve for the near future when I'll be blessed with my own family to take care of. Living alone is a good test to see how responsible and capable I am. The best time of my day for now is coming home to a quiet, peaceful and organized space. Every time I close the door, I can heave a sigh of relief and sincerely say, "It's good to be home". I couldn't do that when I was sharing a space. 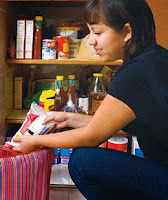 What are housekeeping tips you have learned or would like to share with me? Interesting Post! Great Work ,thank you! Interesting post. I've learned a couple of things here. I found this post by visiting the Frugal Friday Link Up Party. OH MY Goodness...I use vinegar on everything. I even use it in my laundry. Great post. Thanks for sharing. I love vinegar and also believe it is magic! Some great ideas for Spring Cleaning. Thank you for sharing with the Clever Chicks Blog Hop! I hope you’ll join us again next week! This is such a great tips. Thank you for sharing.